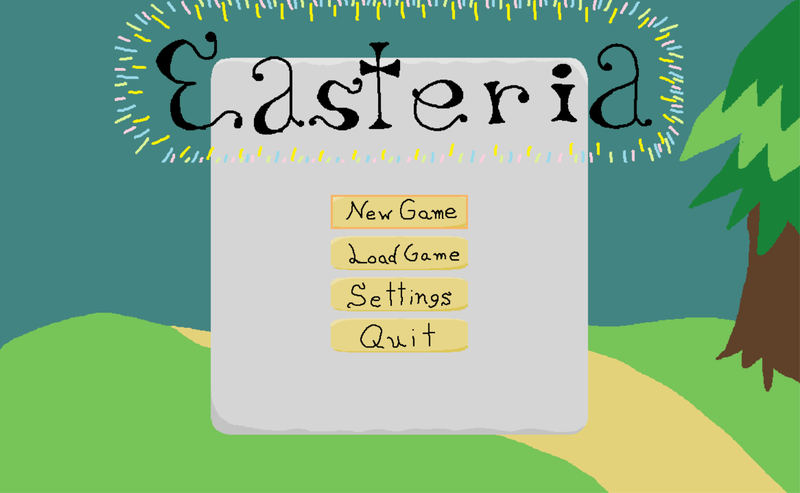 Go on an adventure in Easteria! There is no strict story so you may explore as you please. This is a long term, one developer project, so expect frequent, small updates. All artwork is and will be hand drawn in MS Paint. Any feedback will be greatly appreciated, and may be incorporated into future updates! If you wish to Let's Play this game, please send me a link to the video via email at JonoExplainsThings@gmail.com, and post it in the discussion below for others to see. I love to see other peoples honest reactions to my game, even if they are critical. You will not hit for copyright using the music in your video, as I have recorded all of the music myself. Please leave any feedback or suggestions in the discussion section of this page, or if you wish, email me directly. 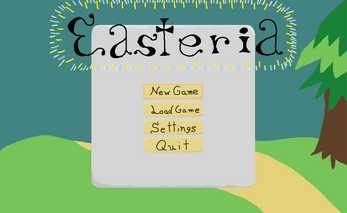 Easteria now has an official Reddit page for sharing Let's Plays and discussion gameplay! Click Here to check it out!